For many, the charm of digital retail has become too profitable to resist. If you’re in the category of entrepreneurs who are trying to branch out into the e-commerce world, this blog recommend few top tips to power your e-store. Have a unique idea for your e-commerce business? Guess what – hundred others have already implemented that idea. Therefore, it is essential to break down preliminary ideas, segment them further and focus on niche markets. This decreases competition from the very outset. So, the key to a successful e-commerce business is – start niche, start “small”. Once you master that particular market, you can expand and look forward to add new product lineup or new focus areas. Unless your business deals with only one product and offers no choices on size or color, you should certainly not falter to add shopping cart solutions. If you are dealing with multi-product eCommerce business, to operate without a shopping cart is a sheer disaster that you are going to make as a newbie. As with every business, it takes a fair share of pains in the introductory phase before you notice the traction you want. The bottom line is – You require a website that converts. For that, you need a professional ecommerce shopping cart development company that can develop a great ecommerce website for your business. It ensures that your website runs on every smart gadget, which will help convert first-time visitors into loyal customers. When setting up an e-tail store, remember that the services or products you are selling, are intangible to the interested customers at first. This is one of the drawbacks for every e-commerce business as compared to a brick and mortar brand. At the primary level, this means correct product imagery, categories and descriptions swelled up by added features are essential to infuse confidence when purchasing. Therefore, you need an outstanding ecommerce website that can transform the virtual experience into something more tangible and real-like. Each year, new trends crystallize in the world of e-commerce. We think these trends will improve our business and fetch us greater, instant and long-term success. Actually, though, based on your business, trend-chasing can be more like a distraction from your actual goal, as certain stuffs just do not work for every business. Sometimes, a trend can even become the business model of the day. For example – flash sales; gamification and other time-connoted trends have been implemented wisely and they have given fruitful results. But a well-planned strategy is a must that would focus on your unique selling proposition. 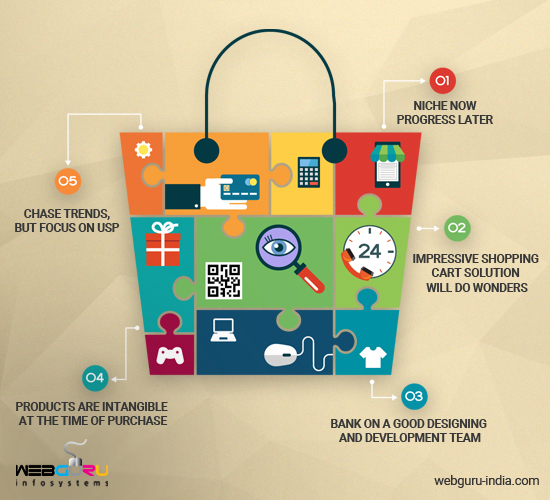 Yes, the blog is helpful for people looking to launch an ecommerce site with a quality shopping cart solution. Excellent blog! It highlights some basic tips to set you off on the right track and launch a successful ecommerce startup. The write up highlights some strategies for launching your online store successfully with an impressive shopping cart solution. Great insights. This is really helpful to me. I am planning to start my own business soon.